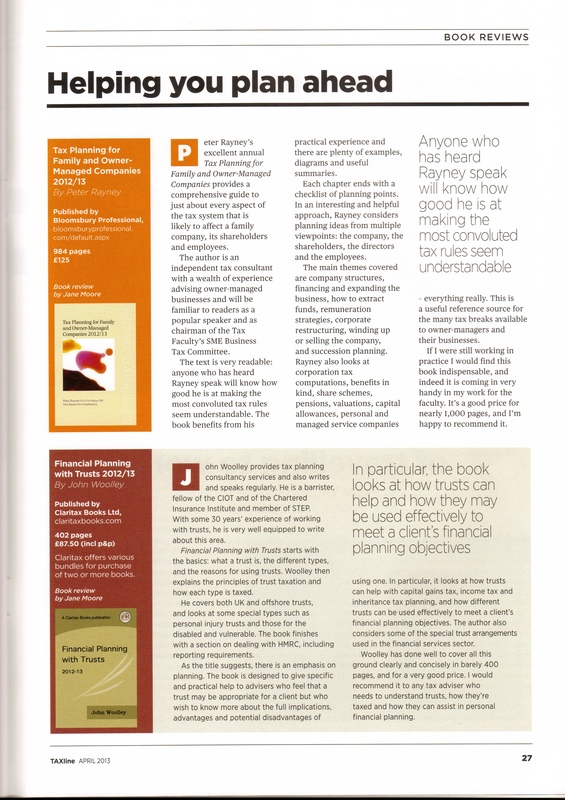 I was really chuffed with Jane Moore’s review of my book – Tax Planning For Family and Owner Managed Companies 2012/13 – in the April 2013 edition of the ICAEW’s TAXLine. Please see below for review. I was thrilled to be invited to talk about ‘my tune with a tale’ on Graham Norton’s Radio 2 show on a very snowy Saturday morning in January. My ‘tune with a tale’ was EVERYTHING I OWN by Bread (David Gates). As I explained, contrary to popular belief, this song is not a typical romantic ballad. Gates penned it following the death of his father as a loving tribute to him. I also got to explain about the perils of egregious tax planning!